Jennifer Davis serves as the Director of International Studies at Texas A&M University-Texarkana. This role leads global engagement efforts to enhance the university’s internationalization endeavors. She focuses on expanding the global mindsets of students, faculty, and the community by overseeing international student recruitment and retention, study abroad development, and the intensive English program. Davis completed her M.A. in International & Intercultural Communication at the University of Denver. She is currently enrolled in Lamar University’s Ed.D. program focusing on global educational leadership. 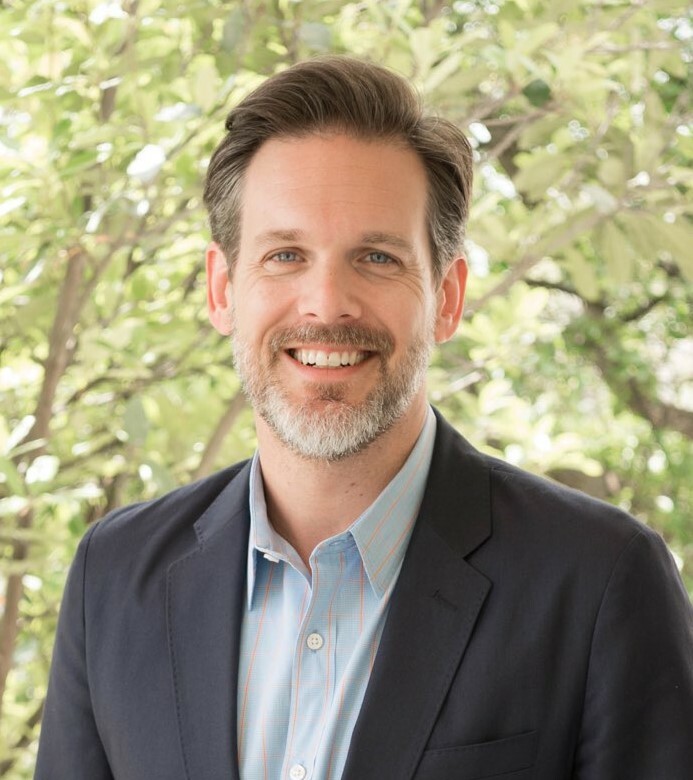 Dr. Ryan Buck has served as the Vice President at the Texas International Education Consortium since in April 2018. Dr. Buck's expertise is in comprehensive internationalization, partnership development, strategic enrollment management, and collaborating with a broad spectrum of stakeholders to achieve global engagement outcomes. Before joining TIEC, Dr. Buck previously served three years as the Assistant Vice President for International Affairs at Texas State University where he enhanced the international profile and reputation of the university, provided strategic direction for achieving the university’s internationalization goals, and directed Study Abroad, the Texas State Intensive English program, the International Office, and the Office of International Affairs. Since 2016, Dr. Buck has served on the board of Study Texas and the operating council of the Texas International Education Consortium. Before joining Texas State University in early 2015, Dr. Buck was the Executive Director of International Student Affairs at Brooklyn College of the City University of New York. His portfolio included International Student and Scholar Services, International Education and Global Engagement, international marketing and outreach, international admissions, the American Language Academy, and international partnerships, agreements and programs. He served as the Treasurer and Secretary of the board of Study New York. Dr. Sukant Misra is currently serving as Vice Provost for International Affairs at Texas Tech University. His responsibilities encompass all functions of the Office of International Affairs, including International Education Development, International Student and Scholar Services, International Research and Development, International Relations, and K-12 Global Education Outreach and OIA Operations, as well as the academic center in Seville, Spain and the first degree-awarding campus in San Jose, Costa Rica. He provides leadership in the development of OIA Strategic Plan and preparation of annual Strategic Plan Assessment Reports, and is responsible for other administrative activities. Before that, he served as the Associate Dean for Research for the College of Agricultural Sciences and Natural Resources (CASNR) from 2002 to 2014. He has served Texas Tech University in various faculty and administrative capacities since his initial employment as a faculty member in the Department of Agricultural and Applied Economics in 1993. Prior to joining Texas Tech, he was a researcher at the University of Georgia for three years. Beyond his service to the Office of International Affairs, CASNR, and TTU, he has served on several local, state, regional, and national organizations involved in the advancement of higher education. Justin R. Ball is currently serving as the Interim Director of International Programs at Sam Houston State University. Before joining SHSU, Justin was the International Student Coordinator at Navarro College for 8 years. He has now been with SHSU for over 5 years. His duties include serving as the PDSO/RO for SHSU, SEVIS monitoring, immigration advising (F-1, J-1, and H1-B), authorizing all international travel by SHSU representatives, coordinating OPT/CPT workshops, editing the SHSU International webpage, and overseeing the English Language Institute and Study Abroad. Justin has a Bachelor of Science degree in Criminal Justice from Texas A&M University – Commerce, a Master of Science degree in Family Studies from Amberton University. Justin recently earned his Education Doctorate in Higher Education Administration from Texas A&M University – Commerce in 2018. Dr. Lisa Seeley serves as the Director of Global Education, the Director of the Great Commission Center, and a professor of missions in the School of Christian Studies at East Texas Baptist University. She leads ETBU in the areas of international student recruitment, admissions, and student services while also spearheading short and long-term study abroad efforts across campus. In addition, Dr. Seeley coordinates community service partnerships in the Marshall area where ETBU students serve on a weekly basis throughout their time at the university. She came to ETBU from Dallas Baptist University where she served as an adjunct professor of History while she completed her PhD in Leadership. She earned a Master of Arts in Theology from Southwestern Baptist Theological Seminary where she served for 11 years in the missions department. Dr. Seeley is active in both local and international missions, travels internationally on a regular basis and serves on both the Administrative Council for Mission Marshall and for the Board of University Educators for Global Engagement.